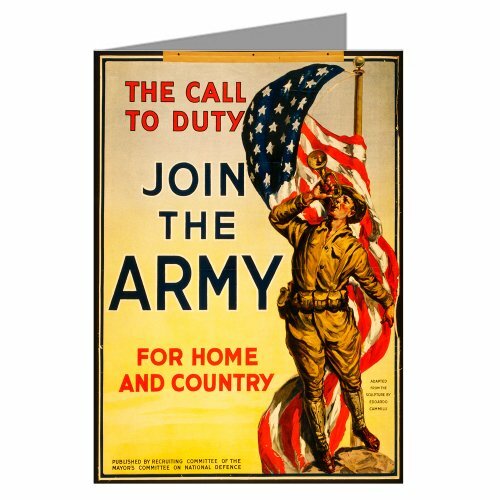 During World War I, the impact of the poster as a means of communication was greater than at any other time during history. The ability of posters to inspire, inform, and persuade combined with vibrant designs to produce thousands of interesting visual works. Here is a sample of the more popular and memorable posters, reproduced as Greeting and Notecards.